Joy Jackson, also known as JJ, is a sophomore at Benet Academy in Lisle, who competes in distance events and cross country for the Redwings. JJ will be covering meets in the Chicagoland area more specifically the western suburbs. 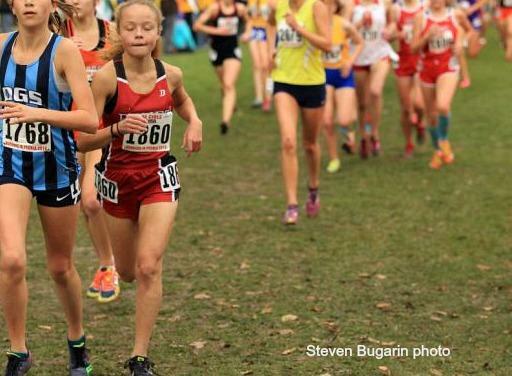 She wanted to be a Milesplit intern because she eats, breathe, and sleeps running, it is her favorite thing in the world along with her pet bunny. An animal that best describes her is a dog because she is very protective of her friends. She feels the best event in track and field is the 5,000m, her favorite sports teams are Team USA Track and the Chicago Bears. The food she enjoys most is apples, while she thinks the best running shoes are made by Asics and the best spikes are made by Saucony. Oh, she is team Android for phones, but like Ipad for tablets.